I have a car problem. 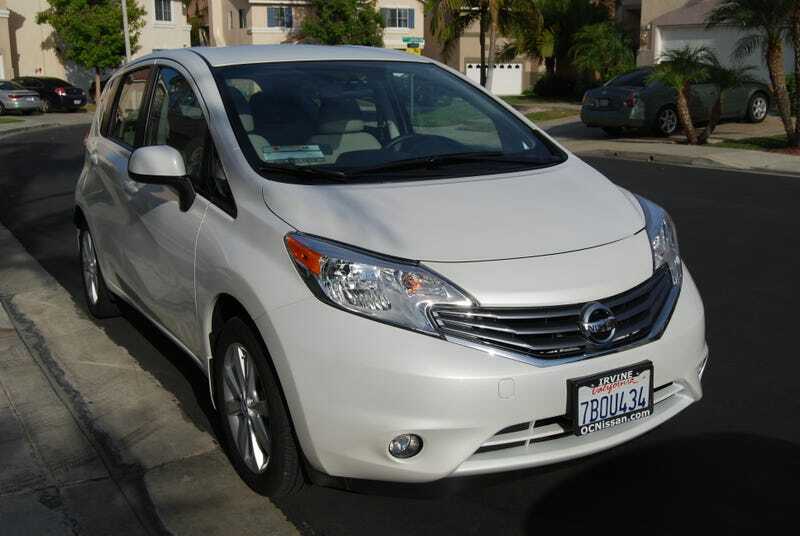 So someone crazy enough actually wants to buy my sister’s Versa Note. You may think this is a good thing to get rid of the Versa. But there lies the problem. See, when my dad told me to write the ad last year to put the Versa up for sale, I had no issue with that. I wanted it gone. But over the course of another year (roughly June 2014 when I wrote that ad to now), I noticed that I slowly started to have an emotional bond with it. You know, that kind of bond/love you have for your inevitably more awesome car? Yeah, I have that, except it’s towards a Versa. I don’t know why I have an emotional attachment to it. Maybe because it’s so cheap that I couldn’t help but fall in love with how bad it was. All I know is that if this car ends up being sold, I’ll miss it greatly. And the last time a “family member” left this household, I couldn’t get over it. Now here’s where part 2 of this problem comes in. If the Note ends up selling, I’ll have to deal with missing a “family member.” But, this car is worth something after all. And of course, when you have extra cash, you naturally want to buy something good. So of course that leads to my dad and me to believing we need a sports car. Now, to me I’ve always loved this as a achievable exotic. But to my dad, he wants power. And that means he loves this for some reason. To me, the 2016 Camaro has never really stuck in my mind as something I want. Something about it is off. Maybe it’s the interior, maybe it’s the styling, but overall it’s not something I’d like to see in the driveway.